You were brought to the hospital with severe chest pain that was even spreading to your arms, shortness of breath and light headedness. Doctors after thorough evaluations confirmed that you had a severe heart attack. A heart attack occurs when blood flow to a part of your heart is blocked for a long enough time that part of the heart muscle is damaged or dies. The medical term for this is myocardial infarction. Most heart attacks are caused by a blood clot that blocks one of the coronary arteries. 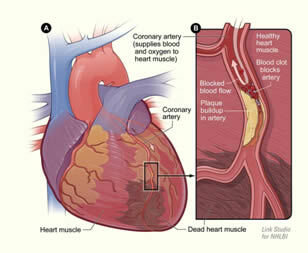 The coronary arteries bring blood and oxygen to the heart. If the blood flow is blocked, the heart is starved of oxygen and heart cells die. Medicines to dissolve a blood clot for example, one that is blocking a coronary artery. Angioplasty and stent implantation a procedure to open up a blocked coronary artery using a balloon at the point of narrowing. Bypass surgery an operation in which blood flow is redirected around a narrowed area in one or more of your coronary arteries. It is also called coronary artery bypass graft surgery (often shortened to CABG). Long-term use of medicines to lower the risk of further heart problems. Be advised by your doctor. Implantable cardiac defibrillators (ICD) a small device that is sometimes implanted near the heart to manage abnormal heart rhythms (arrhythmias) that may occur after a heart attack. For you, doctors decided to remove the blood clot from your coronary artery by medicines which will dissolve the clot and thus restore the normal blood flow to your heart. Fig.1. Illustration of blood clot and plaque formation in coronary artery leading to heart attack. Do not drink any alcohol for at least 2 weeks. Do not smoke and do not let anybody smoke in your home, since second-hand smoke can harm you. Try to stay away from things that are stressful for you. Stay away from fast food restaurants. Take your drugs the way your doctor or nurse told you to. Do not take any other drugs or herbal supplements without asking your doctor first if they are safe for you. Do NOT suddenly stop taking these drugs for your heart. Do NOT stop taking drugs for your diabetes, high blood pressure, or any other medical conditions you may have without talking with your doctor first. Arrhythmia: An arrhythmia is an abnormal heartbeat, such as beating too quickly, too slowly or irregularly. Arrhythmias can develop after a heart attack as a result of damage to the muscles. Heart failure: Heart failure is where your heart is unable to effectively pump blood around your body. It can develop after a heart attack if muscles in your heart are extensively damaged. Cardiogenic Shock: Cardiogenic shock is similar to heart failure but more serious. It develops when the heart's muscles have been damaged so extensively it can no longer supply enough blood to maintain many of the functions of the body. Heart Rupture: A heart rupture is a serious and relatively common complication of heart attacks. Develop good social support networks and join groups. Do not stop any medicines without doctor's consultation. Call your doctor/hospital if you experience any complaints like prolonged chest pain, shortness of breath, giddiness etc. Take bed rest for 2 weeks. You will become ambulatory gradually and can reach normal activities by 1 month after discharge. Take it easy for the first 4 - 6 weeks. Avoid heavy lifting. Get some help with household chores if you can. Take 30 - 60 minutes to rest in the afternoon for first 4 - 6 weeks. Try to go to bed early and get plenty of sleep. Before starting to exercise, your doctor will do an exercise test and recommend an exercise plan. This may happen before you leave the hospital or soon afterward. Do not change your exercise plan before talking with your health care provider. You should be able to talk comfortably when you are doing any activity -- such as walking, setting the table, and doing laundry. If you cannot, stop the activity. Ask your doctor about when you can return to work. Expect to be away from work for at least 4 - 6 weeks. Your doctor may refer you to cardiac rehabilitation program. There, you will learn how to slowly increase your exercise and how to take care of your heart disease. Weight Management Obesity is one of the primary risk factors for Myocardial Infarction (MI) and other cardiovascular diseases (CVD). Maintaining an Ideal Weight is crucial. Calculate your Body Mass Index (BMI) here and aim to keep it below 23. Blood Pressure (BP) High BP is one of the primary risk factors of MI. Maintaining a normal blood pressure of lower than 120/80 is important to lower the risk of further cardiovascular complications. Exercise can help to maintaining normal BP. Physical Activity A moderate intensity workout lasting 30 -60 minutes daily can boost heart health, lower BP and also help maintain a healthy weight. Alcohol Abstinence is the best policy Alcohol is high in calories and known to increase blood pressure. Talk to your doctor to know more about how much alcohol can be consumed. Blood Glucose Diabetic patients are at a risk of developing complications, post cardiac surgery. 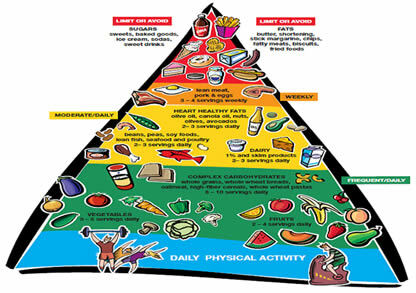 Keep your blood sugar in constant check by maintaining a balanced diet and a prudent lifestyle. Normal fasting glucose range is 70-100mg/dL and for diabetics it is 70-130mg/dL. After meals for non-diabetics it should be less than 125mg/dL and for diabetics, it should be less than 180mg/dL. try to listen to soothing music, chant, read a book or meditate. Caffeine Limit intake of tea, coffee, colas to only 1 Cup a day. Lowered caffeine intake is known to induce a better sleep and rest during the night. For speedy and long lasting recovery after the myocardial infarction. It is necessary to combine positive dietary and lifestyle changes with the recommended medications. Include food sources rich in Magnesium and Potassium to improve heart health. Say NO to all Sugary beverages and foods. Do not add any extra sugar to beverages like tea coffee etc. Pay special attention if diabetic. Refined ingredients like white rice, white flour, maida should be completely omitted from diets. Pay special attention if diabetic. Avoid combination of sugary and refined foods like cakes, pies, ice creams as they do the most harm. Pay special attention if diabetic. Avoid Unhealthy Fats such as Cholesterol, Saturated and Trans Fat as they clog the arteries. Stay away from egg yolks, cream, butter, ghee, coconut, deep fried items, whole milk, dalda, vanspati. Curb Salt intake, as salt increases blood pressure and retention of water in the body. Don't add salt while cooking and reduce packaged food consumption. Check portion sizes for each food by going to these links. Do not add SALT or SUGAR while cooking or as seasoning. For cooking, use only Olive oil or Peanut oil. Omega-3 (Fish Supplements) Improves heart health and reduces clogging of arteries. Beta-sitosterol Lowers bad cholesterol in the body. Coenzyme Q10 Lessens clogging of arteries and reduces incidence of another heart attack.